Contrary to all those entrepreneurial stories you see and hear, the best laid business plans are not scribbled on the back of a cocktail napkin. They’re often assembled after days, weeks, even months of studious research, precise planning and careful consideration. After all that work, your efforts demand to be highlighted in a package worthy of so much manpower. That’s where Bizplan comes in…and right now, you’ll secure a lifetime of Bizplan Premium service for only $69, a massive savings from its usual price. Bizplan gives you a ready framework to not only account for all the pieces that go into building a sound business plan, but the visual flair and presentation flourish to help land support from customers, associates and even potential investors. 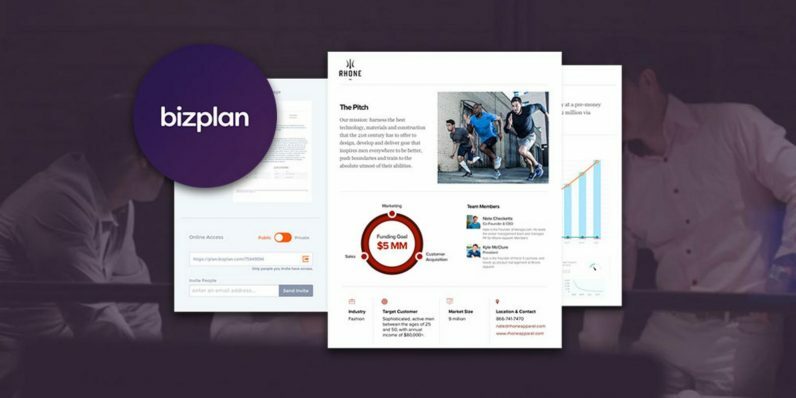 Whether you’re pitching your ideas, constructing a realistic timeline or tracking your progress, Bizplan breaks it all down into easy-to-manage, easy-to-follow elements. With Bizplan, you get simple representations of your financial, personnel and material resources, team salary forecasts and automatic revenue projections so you’ll know what it takes to be a profitable, growing business. Bizplan incorporates multimedia sound, graphics and other visuals to sharpen your plan and creates comment threads so your entire team can coordinate and offer input. There’s even a crew of Bizplan fundraising experts available to offer guidance if you run into questions. A lifetime of Bizplan protection usually costs almost $3,000, so don’t miss out on the chance to get that same assistance now for just $69.